Maybe around the time that professional provocateur Michael Moore shows Donald Trump’s voice coming out of Adolf Hitler’s mouth in his latest film, “Fahrenheit 11/9,” you might think he has gone over the top. But Moore would probably tell you that it’s our world that’s gone over the top; he’s just highlighting it so that we can understand what is happening in the midst of a constant barrage of outrage and partisanship. 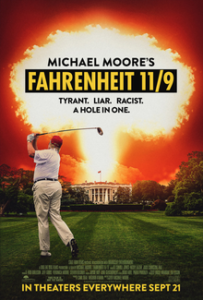 Fourteen years ago, Moore released “Fahrenheit 9/11,” the title inspired by Ray Bradbury’s Fahrenheit 451, about the September 11 attacks and the aftermath. 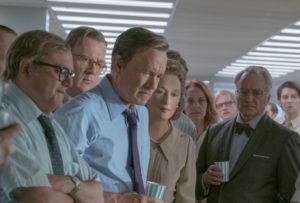 This film’s title is a reference to another event Moore considers pivotal, the election of Donald Trump in 2016. It begins with dozens of predictions by experts that Hillary Clinton would win the election, and then the stunned reactions when she lost. (Moore himself was one of the very few who predicted a Trump victory.) But he does not spend any time after that on the past. He is not interested in the Mueller investigation or whether there was collusion between the Trump campaign and Russia. He is interested in the indicators of a weakening of our democracy, as, for example, when a survey of Republicans shows that a majority would support delaying the next Presidential election if President Trump says that it is an emergency, and, an even more sobering example, when so many Americans do not vote. Moore’s 1989 film, Roger & Me was set in his home town of Flint, Michigan, a once-thriving community with lots of good jobs at the local General Motors plants. As the plants closed or replaced workers with non-US workers and robots (unforgettably, the film included footage of a animatronic display with a human worker singing to the robot that replaced him), the community was devastated economically and psychically bereft. The film, now on the National Film Registry of the Library of Congress, revolutionized documentary storytelling with its arch tone, quirky characters, and wild stunts, like Moore’s efforts to confront then-GM CEO Roger Smith about Flint. Almost 20 years later, Moore returns to Flint in this film for an even worse disaster. A new governor, a businessman with no previous government experience, ordered that the water supply in Flint be redirected from Lake Huron to the toxic Flint River, according to Moore so that his business friends could build — and make money from — an unnecessary second pipeline. Lead levels spiked, putting the residents, especially the children, at great risk. Even those who have been following this story will be shocked by some of what Moore reveals here, including a nurse who shows the blood lead levels in the children she tested — before she was directed to alter the results to show them at an acceptable level. General Motors complained that the Flint River Water was harming its remaining production facilities, so they were switched back to Lake Huron while the residents were not. There is dispiriting footage of then-President Obama’s visit to Flint, when his efforts to be reassuring (Look! I’m drinking your water!) make him seem out of touch and condescending. Of course there’s a stunt, with Moore trying to see the governor and then spraying Flint water on the Governor’s grass. But what hits home hardest is a story that had almost no national coverage, without any notice, the Army scheduled training exercises — with no notice to the residents — with shooting and explosions that made it seem that the town was under attack. 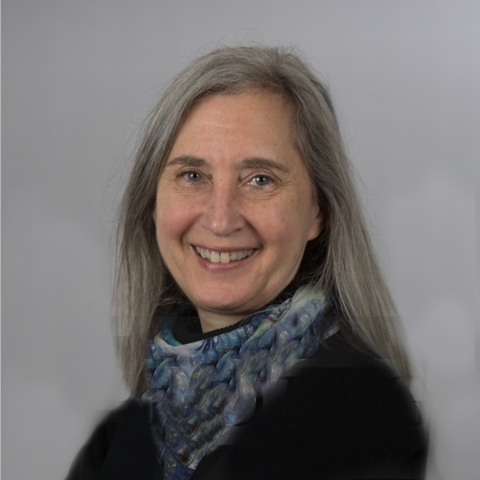 Moore also points out that the heroic doctor who exposed the crisis is an immigrant who exemplifies the most aspirational American dream of opportunity and service. And he suggests that the lack of attention from politicians, including Obama, led to the poor voter turnout in a state where mere thousands of votes could have swung the election. He also points to the one person who is ultimately responsible for electing Donald Trump. SPOILER ALERT: pop star and Voice coach Gwen Stefani. She may not realize it, but she was raised by Moore as well, with films like this one. Parents should know that this film has some strong language and some disturbing images, including violence and peril. Family discussion: Who in this film do you admire and why? Is this film a form of journalism? 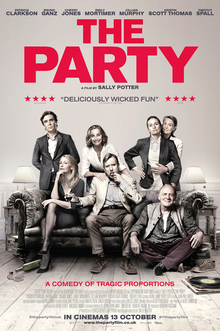 “The Party” is a short, savagely funny, black and white film from writer/director Sally Potter with an all-star cast moving at light speed through a real-time gathering that goes very quickly from a celebration to a political and emotional bloodbath. It does start out as a party. Hostess and honoree Janet (Kristin Scott Thomas) has just achieved her professional goal by being appointed to the British cabinet position overseeing health care. She is busy in the kitchen making vol au vent, barely aware of her husband, Bill (Timothy Spall), who is sitting dolefully in the living room, playing jazz on old-school analog LPs. The guests start to arrive. Janet’s oldest friend April (Patricia Clarkson) is a sharp-tongued cynic, escorted by Gottfried (Bruno Ganz), a German believer in spiritual healing who calls Western medicine “voodoo.” April continuously demeans him, explaining that they are about to break up. Martha (Cherry Jones) is Janet’s political ally, but she will soon be distracted by news from her pregnant wife Jinny (Emily Mortimer). Everyone is so distracted that they barely notice Tom (Cillian Murphy), who works in finance and arrives ahead of his wife Marianne and immediately goes to the bathroom to snort some cocaine. Also, he has a gun. As the vol au vent burns, a daisy chain of accusation, recrimination, confession, and betrayal rocks the group and challenges their most fundamental notions of who they are as individuals, as upholders of particular political views that they consider essential parts of themselves, and as people who thought they understood their connections to each other. It’s in stunning black and white, but we imagine the shower of virtual crimson blood from the verbal rapier thrusts and real-life punches at this most savage of celebrations. What is intended to be a small gathering of close friends to congratulate the hostess on her important new cabinet position unfolds in real time as series of attacks, revelations, betrayals, and, yes, political metaphors. Brilliantly performed by some of the greatest actors from both sides of the Atlantic with dialog that crackles like static electricity, it is directed at the high speed of a drawing room comedy but with knowing, devastating impact by Potter. Parents should know that this movie has very strong and explicit language and many tense and unhappy confrontations. Characters drink and use drugs and threaten gun violence. Family discussion: Is Janet a hypocrite about healthcare when she responds to Bill’s announcement? Why is it hard for Martha to respond the way Jinny wants her to? Why did Tom come to the party? A bitter debate is going on in Parliament. The Prime Minister, Neville Chamberlain (Ronald Pickup) has responded to Hitler’s invasion of other countries with appeasement and many of the politicians are with him. A combination of denial and sun-never-sets-on-the-British-Empire smugness of those who have colonized a quarter of the planet and are situated on the other side of the Channel makes them confident that they can work with Hitler. But it is increasingly clear to at least some of the politicians believe it is time to take a stronger stand. Is there someone they can call on to lead them in that direction? Earlier this year, Christopher Nolan’s “Dunkirk” gave us a bracing look at the turning point that ends this film, when certain catastrophic defeat was turned into a victory just by escaping, rescued with the help of a citizens’ armada of boats. That film paid tribute to the ordinary men who retreated to come back stronger. 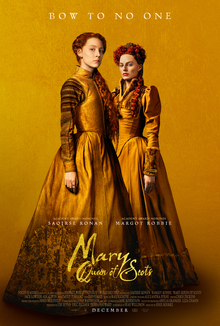 This film gives us another side of the story in a more traditional “great man” portrayal of history and it could not have a better subject. Churchill was a master of language, grandiloquent at a time when people needed to be inspired by a leader of vision, a deep knowledge of history, and shining integrity. The benefit of having a central character in Churchill is that he pretty much spoke in movie dialogue, hyper-articulate, wryly witty, and with an underlying patriotism rooted in compassion, not jingoism. Churchill knows that it is not enough for him to be right about Hitler. He has to get the support of the other politicians and he has to get the support of the population. He knows what he will be asking them to do will involve unimaginable sacrifice. And there is no time. “We are looking at the collapse of Western Europe in the next few days,” says a general. “Should the public be told?” There is no time. And, as yet, there is no plan for a counter-attack and Franklin Roosevelt, Churchill’s good friend in the United States, tells him that Congress has prevented him from being of help. Dario Marianelli and masterfully sinuous camerawork by Bruno Delbonnel and editing by Valerio Bonelli. The camera maneuvers through Churchill’s legendary wartime cabinet rooms (a must-visit for London tourists), showing us the cramped quarters and the fierce energy of what is going on. Oldman disappears into the role, a performance like the famous Karsh portrait come to life. His Churchill is crafty, sometimes impatient, sometimes uncertain, but compassionate, and always sure of what his values are. The Churchills had a famously devoted love match, and Kristin Scott Thomas is impeccable in showing us Clementine’s elegance, and resolve. “He mobilized the English language and sent it into battle,” a character says. And with this film, director Joe Wright mobilized the language of film and presents us with an uplifting reminder of what the right person at the right time can do even under the direst circumstances. Parents should know that this is a wartime story with tense peril and reference to violence and loss, some strong language, and smoking and drinking. Family discussion: What should be factors in deciding when to intervene and when to negotiate? Why did the king change his mind? Read My Early Life, Churchill’s autobiography of his youth. Which self will you be today? 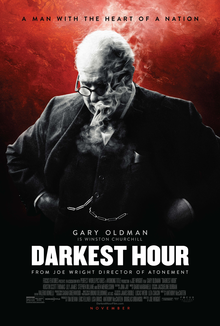 If you like this, try: “The King’s Speech,” “Dunkirk,” and some of the other movies about this towering figure of the 20th century, including the “First Churchills” miniseries about his ancestors.